Any copies of documents contained within this server or portions thereof must include the above copyright notice. Each document published by TSC on this server may contain other proprietary notices or describe products, services, processes or technologies owned by TSC or third parties. Nothing contained herein shall be construed as granting to the user a license under any copyright, trademark, patent or other intellectual property right of TSC or any third party. The TSC name and logo and all related product and service names, design marks and slogans are trademarks, service marks or registered trademarks of TSC and may not be used in any manner without the prior written consent of TSC. All other product and service marks are trademarks of their respective owners. TSC is under no obligation to monitor the information residing on or transmitted to this server. However, anyone using this server agrees that TSC may monitor the server contents periodically to (1) comply with any necessary laws, regulations or other governmental requests; (2) to operate the server properly or to protect itself and its users. TSC reserves the right to modify, reject or eliminate any information residing on or transmitted to its server that it, in its sole discretion, believes is unacceptable or in violation of these terms and conditions. Should any user of information on this server provide TSC with information, including but not limited to feedback, data, answers, questions, comments, suggestions, plans, ideas or the like, such information shall be deemed to be nonconfidential and TSC assumes no obligation to protect such information from disclosure. The submission of such information to TSC shall in no way prevent the purchase, manufacture or use of similar products, services, plans and ideas by TSC for any purpose whatever and TSC shall be free to reproduce, use, disclose and distribute the information to others without restriction. You agree that unless you have permission from TSC under a separate agreement: (1) you will not access the website by any means other than through the interface that is provided by TSC, and (2) you will not use any automated processes, systems or applications, including without limitation, spiders, robots, web crawlers, data miners or offline readers to: (a) access the website in a manner that sends more requests or transactions to the website in a specified period of time than a human can reasonably generate manually in such period using a traditional web browser; or (b) obtain information or content from the website. You further agree that you will not engage in any activity that interferes with or disrupts the website (or the servers and networks associated with or connected to the website) or otherwise causes harm to TSC's systems, networks or customers. Unless otherwise specified, the materials in the TSC Web site are presented solely for the purpose of entertainment and promoting programs and other products available in the United States, its territories, possessions, and protectorates. This site is controlled and operated by TSC from its offices within the State of Ohio, United States of America. TSC makes no representation that materials in TSC's Web site are appropriate or available for use in other locations. Those who choose to access this site from other locations do so on their own initiative and are responsible for compliance with their local laws, if and to the extent local laws may be applicable. This agreement shall be governed by, construed and enforced in accordance with the laws of the State of Ohio, as it is applied to agreements entered into and to be performed entirely within such State. Any action you, any third party or TSC bring to enforce this agreement or, in connection with, any matters related to this site shall be brought only in either the state or Federal Courts located in Auglaize County, Ohio, and you expressly consent to the jurisdiction of said courts. If any provision of this agreement shall be unlawful, void, or for any reason unenforceable, then that provision shall be deemed severable from this agreement, and shall not affect the validity and enforceability of any remaining provisions. This represents the entire agreement between the parties relating to the matters contained herein and shall not be modified except in writing, signed by TSC. THE USER OF THIS SYSTEM ASSUMES ALL RESPONSIBILITY AND RISK FOR THE USE OF THIS SERVER AND THE INTERNET GENERALLY. TSC AND ITS AFFILIATES DISCLAIM ALL WARRANTIES, REPRESENTATIONS OR ENDORSEMENTS, EXPRESS OR IMPLIED, WITH REGARD TO THE INFORMATION ACCESSED FROM, OR VIA, THIS SERVER OR THE INTERNET, INCLUDING, BUT NOT LIMITED TO, ALL IMPLIED WARRANTIES OF MERCHANTABILITY, FITNESS FOR A PARTICULAR PURPOSE, OR NONINFRINGEMENT. TSC DOES NOT ASSUME ANY LEGAL LIABILITY OR RESPONSIBILITY FOR THE ACCURACY, COMPLETENESS, OR USEFULNESS OF ANY INFORMATION, APPARATUS, PRODUCT OR PROCESS DISCLOSED ON THE SERVER OR OTHER MATERIAL ACCESSIBLE FROM THE SERVER. IN NO EVENT SHALL TSC BE LIABLE FOR ANY SPECIAL, INDIRECT, OR CONSEQUENTIAL DAMAGES OR ANY DAMAGES WHATSOEVER RESULTING FROM LOSS OF USE, DATA, OR PROFITS, WHETHER IN AN ACTION OF CONTRACT, NEGLIGENCE OR OTHER TORTIOUS ACTION, ARISING OUT OF OR IN CONNECTION WITH THE USE OR PERFORMANCE OF THE INFORMATION ON THIS SERVER OR THE INTERNET GENERALLY. Any TSC material on this server may include technical inaccuracies or typographical errors. TSC has the right to make changes and updates to any information contained within this server without prior notice. THE INFORMATION PROVIDED ON THIS SERVER IS PROVIDED ON AN "AS IS" AND "AS AVAILABLE" BASIS WITHOUT WARRANTIES OF ANY KIND, EITHER EXPRESS OR IMPLIED, INCLUDING, BUT NOT LIMITED TO, WARRANTIES OF TITLE, NONINFRINGEMENT OR IMPLIED WARRANTIES OF MERCHANTABILITY OR FITNESS FOR A PARTICULAR PURPOSE. NO ADVICE OR INFORMATION GIVEN BY TSC, ITS AFFILIATES OR THEIR RESPECTIVE EMPLOYEES SHALL CREATE ANY WARRANTY. NEITHER TSC NOR ITS AFFILIATES WARRANTS THAT THE INFORMATION ON THIS SERVER OR ON THE INTERNET GENERALLY WILL BE UNINTERRUPTABLE OR ERROR FREE OR THAT ANY INFORMATION, SOFTWARE OR OTHER MATERIAL ACCESSIBLE FROM THIS SERVER IS FREE OF VIRUSES OR OTHER HARMFUL COMPONENTS. Reference herein to any products, services, processes, hypertext links to third parties or other information by trade name, trademark, manufacturer, supplier or otherwise does not necessarily constitute or imply its endorsement, sponsorship or recommendation by TSC. Product and service information is the sole responsibility of each individual vendor. The TSC name and logo and other trademarks and trade names owned by TSC may not be used in any commercial manner without the prior written consent of TSC.  TSC is a carrier providing intrastate, interstate and international domestic communications services to Customers for their direct transmission of voice, data and other types of telecommunications within the United States. The services are provided subject to the availability of facilities and the other provisions of this document. TSC does not undertake to trans­mit communications or messages, but rather furnishes facilities, service and equipment for such transmissions by the Customer. TSC retains the right to deny or terminate Service to any Customer who fails to comply with the rules and regulations of this Document, or other ap­plicable rules, regulations or laws. All Customers assume general responsibilities in connection with the provision and use of TSC's Service. General responsibilities are described in this section. When facilities, equipment, and/or communication systems provided by others are connected to TSC's facilities, the Customer assumes the additional responsibilities as set forth here. The Customer is responsible for the payment of all charges for any and all Services or facilities provided by TSC to the Customer. The Customer shall indemnify and save harmless TSC from and against all loss, liability, damage and expense, including reasonable counsel fees, due to claims for libel, slander, or infringement of copyright or trademark in connection with any material transmitted by the Customer using TSC's Services; and any other claim resulting from any act or omission of the Customer to the use of TSC's facilities. The Customer shall reimburse TSC for damages to TSC's facilities caused by any negligence or willful act or acts on the part of the Customer. In the event a suit is brought by TSC, or an attorney is retained by TSC to collect any bill or enforce the terms of this Document against a Customer, that Customer shall be responsible for payment of all reasonable attorney's fees, court costs, costs of investigation and any and all other related costs and expenses in­curred by TSC in connection therewith. Using the Service for any purpose that is in violation of any law. Obtaining or attempting to obtain Services through any scheme, false representation and/or use of any fraudulent means or devices whatsoever with the intent to avoid payment, in whole or in part, of charges for Services, or assisting any other person or firm in such regard. Attempting to, or actually obtaining, accessing, altering, or interfering with the communications and/or information by rearranging, tampering with or making any connection with any facilities of TSC or assisting any other person or firm in such regard. Using the Services in a manner that interferes unreasonably with the use of Service by one or more other Customers. Using the Service to convey information deemed to be obscene, salacious, or prurient, to impersonate another person with fraudulent or malicious intent, to call another person or persons so frequently, at such times, or in such a manner as to annoy, abuse, or harass, or to convey information of a nature or in a manner that renders such conveyance unlawful. Except as stated in this section, TSC shall have no liability for damages of any kind arising out of or related to events, acts, rights or privileges contemplated through acceptance of the service. The liability of TSC for damages resulting in whole or in part from or arising in connection with the furnishing of Service under this Document, including, but not limited to, mistakes, omissions, interruptions, delays, errors or other defects or misrepresentations shall not exceed an amount equal to the charges under this Document applicable to the specific call (or portion thereof) that was affected. No other liability shall attach to TSC. TSC shall not be liable for any failure of performance hereunder due to causes beyond its control, including, but not limited to: (1) acts of God, fires, flood or other catastrophes; (2) any law, order, regulation, directive, action or request of the United States Government, or any other government, including state and local governments having jurisdiction over TSC, or of any department, agency, commission, bureau, corporation or other instrumentality of any one or more of said governments, or of any civil or military authority; or (3) national emergencies, insurrections, riots, wars or other labor difficulties. TSC shall not be liable for any act or omission of any other entity furnishing facilities, equipment, or services used by a Customer, with TSC's Services. In addition, TSC shall not be liable for any damages or losses due to the failure or negligence of any Customer or due to the failure of Customer Provided Equipment, facilities or services. TSC may, in order to safeguard its interests, require Customers to make a suitable deposit as a guarantee of the payment of charges. Any deposit as referred to in this Section shall be held by TSC to secure the payment of the Customer's bill. At TSC's option, the deposit may be refunded or credited to the Customer at any time prior to the termination of Service. The fact that a deposit is made does not relieve the Customer from making advance payments or from complying with TSC's regulations for the payment of bills in accordance with the terms herein and does not constitute a waiver or modification of the regulations of TSC providing for the discontinuance of Service for nonpayment of any sums due TSC for Service rendered. Upon termination of Service any remaining deposit amounts will be credited to the Customer's account and any credit balance will be refunded after all amounts due TSC have been paid. Service is provided and billed on a monthly basis. Service continues to be provided and billed on a monthly basis until cancelled by the Customer through notice given to TSC. When a Local Exchange Carrier (LEC) performs billing functions, commercial credit card company or others, the payment conditions and requirements of such LECs apply, including any applicable interest. In the event a Local Exchange Carrier, commercial credit card company or others ceases efforts to collect any amounts associated with TSC's charges, TSC may bill the Customer or the called party directly, and may utilize its own billing and collection procedures which shall be consistent with all applicable statutes, rules and regulations. In addition to all recurring, non-recurring, minimum, usage, surcharges or special charges, the Customer identified in this Document shall also be responsible for and shall pay all ap­plicable federal, state and local taxes or surcharges, including sales, use, excise, gross earnings, and gross income taxes. All such taxes shall be separately shown and charged on bills rendered by Company or its billing agent pursuant to applicable rules or laws. Sales and use taxes shall be applied to all charges and shall also be applied to all applicable gross earnings, gross revenue and gross income taxes. Payment will be due as specified on the Customer bill. Commencing after that due date, a late charge of up to the highest interest rate allowable by law will be applied to all amounts past due. Collection procedures and the require­ment for a deposit are unaffected by the application of a late payment charge. The late payment charge does not apply to unpaid balances associated with dis­puted amounts. Undisputed amounts on the same bill are subject to the late payment charge if unpaid and carried forward to the next bill. Service may be denied or discontinued at TSC's discretion for nonpayment of amounts due TSC past the due date as specified in here. Restoration of Service will be subject to all applicable installation charges. In cases where TSC issues direct bills to Customers, and payment by check is re­turned for insufficient funds, or is otherwise not processed for payment, there will be a charge of $20 or the maximum amount allowed by law, whichever is less. Such charge will be applicable on each occasion when a check is returned or not processed. In the event of nonpayment of any bill rendered or any required deposit, TSC may, after written notice, suspend Service to the Customer. Credit for failure of Service will be allowed only when failure is caused by or occurs in TSC's facilities or equipment owned, provided and billed for by TSC. Credit allowances for failure of Serv­ice or equipment starts when the Cus­tomer notifies TSC of the failure and ceases when the operation has been restored and an attempt has been made to notify the Customer by TSC. Only those portions of the Service or equipment operation disabled will be credited.